Audi will be producing only 333 R8 GT models worldwide; 90 for US Sales. 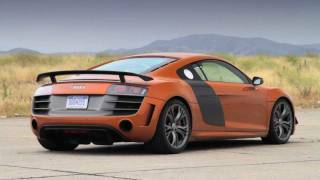 180 lbs lighter than the Audi R8 5.2 Quattro Coupe, the Audi R8 GT 2012 has a top speed of 199mph and has a sprint time (0-62mph) of 3.6 seconds. 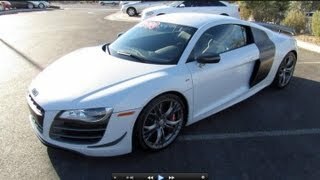 Overall, the Audi R8 GT will provide drivers with high lateral acceleration and a low center of gravity.